New construction! This beautifully hand-crafted cabin will be located in the woods of New Salem on Lookout Mountain close to Lookout Lake. The attention to detail is amazing! 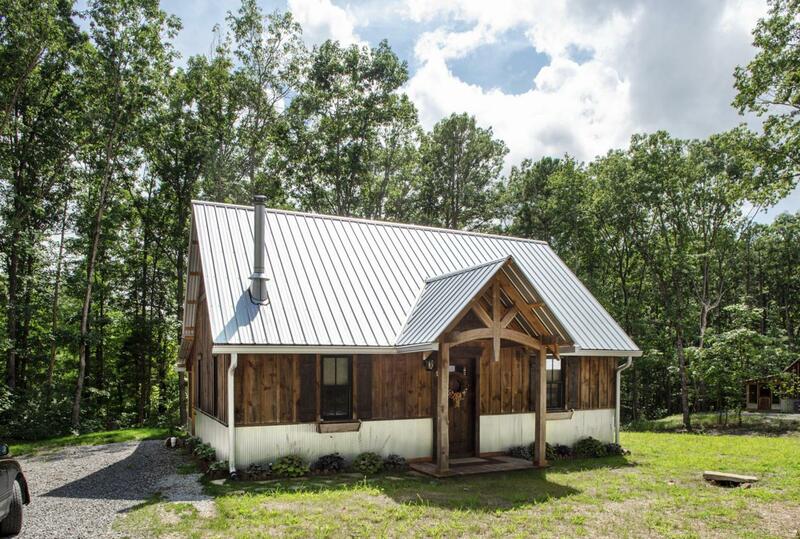 The builder painstakingly personalizes each home with timber cut on site from the trees being cleared for the homes, handmade doors, and live edge shelving. The bar top in the kitchen is crafted from walnut, and copper flashing adds a uniquely gorgeous detail to the home. The homes are designed to be small and affordable, while providing beauty, custom design, and functionality. Pictures are of a home customized to a previous buyer. They show upgrades not included in base price. Prices are based on current material prices and are subject to change up or down depending on current building material market conditions.